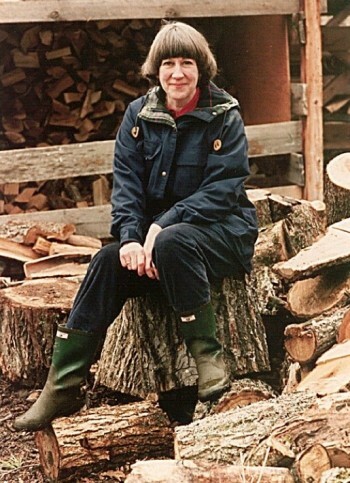 Anyone who has read stuff that I have written, or has talked to me about who inspires my work, knows that I’m a big fan of the late Donella Meadows – environmentalist, journalist, farmer, systems thinker, both a Pew Scholar in Conservation and Environment and a MacArthur Fellow. She wrote a brilliant piece called Dancing With Systems that I have returned to time and again. I’m not sure what Ms. Meadows would think of my imposing a strategic-planning-framework onto her dancing-with-systems-framework but I think she’d like it, or at least be amused by it. 1. Get the beat. Before your organization embarks on a strategic planning exercise, “watch how it behaves … learn its history. Ask people who’ve been around a long time to tell you what has happened. Pay attention to the value of what’s already there.” Too often our strategic planning starts from zero and turns a blind eye to where the organization has come from. But to know where you are going you have to know from whence you came. Always start any planning or visioning with a careful ear to the beat of your organization and what makes – has made – it hum over the years. 2. Listen to the wisdom of the system. Too often organizations look to facilitators and professional consultants to shape their planning exercise, and for good reason as proper facilitation can help the process enormously. But, it’s often at the expense of those within the organization who hold the history, the values, the knowledge – the wisdom – of the system. “Aid and encourage the forces and structures that help the system run itself.” Pull in your employees, your board members, your volunteers, your donors, your champions on the sidelines, and include them in the process of shaping your future. They are what makes your system run. It’s strategic planning with them, not for them. 3. Expose your mental models to the open air. “Remember, always, that everything you know, and everything everyone knows, is only a model. Get your model out there where it can be shot at. Invite others to challenge your assumptions and add their own.” This is rarely done in strategic planning, or rarely done well. But when added to an organization’s approach to future directions, it can be immensely enriching. Invite people to poke holes in your plan. Share drafts. Get other like-minded organizations to comment. Ask others to find your blind spots and challenge your thinking. This will make your planning more robust, better rationalized, stronger, and more relevant. 4. Stay humble. Stay a learner. Here’s one of the kickers. Too many organizations see the Strategic Plan as a static document against which they monitor progress. And monitoring is important – critical in fact – but not against rigid indicators that don’t adapt to changing conditions and externalities. Changing internalities as well. “In a world of complex systems, it is not appropriate to charge forward with rigid, undeviating directives. ‘Stay the course’ is only a good idea if you’re sure you’re on course…What’s appropriate…is small steps, constant monitoring, and a willingness to change course as you find out more about where it’s leading.” This is hard in a world where we want solid answers and firm metrics, otherwise it’s messy and more nebulous. But Donella was onto something here that can’t be ignored. It’s a whole new way of thinking and can be quite liberating when embraced. 5. Honor and protect information. This one’s not so hard. “I would guess that 99% of what goes wrong in systems goes wrong because of faulty or missing information. You can make a system work better with surprising ease if you can give it more timely, more accurate, more complete information.” In planning, bring information to the table. What’s worked? What hasn’t? Why? How do you know? Only then can an organization make smart decisions about future directions. Do your homework and inform the system. It will pay dividends. 6. Locate responsibility in the system. I often hear people say “a plan is only worth the paper it’s written on.” Unless an organization locates responsibility in the system for the implementation of the plan then that maxim is entirely true. “‘Intrinsic responsibility’ means that the system is designed to send feedback about the consequences of decision-making directly and quickly and compellingly to the decision-makers.” Once your organization has done its planning and has its directions mapped out, ask yourselves Who’s responsible for what? Over what time period? How will it be reported back? By when? 7. Make feedback policies for feedback systems. This one’s a little harder to superimpose on strategic planning but what Meadows was arguing was that we should be coming up with “policies that design learning into the management process.” So, in the context of strategic planning, maybe it’s to make feedback processes for feedback systems. What does that mean? This takes me to monitoring and evaluation. How do you create feedback loops as you implement your plan that allow your organization to constantly check in with how the plan is working, and – where it’s not – to do a mid-course correction, and make learning a central aspect of the whole process. 8. Pay Attention to what is important, not just what is quantifiable. It’s so easy to count numbers. How many people did you reach? How many acres were saved? How many youth attended the concert? How many facebook followers do you have? Tweets retweeted? “Our culture, obsessed with numbers, has given us the idea that what we can measure is more important than what we can’t measure. You can look around you and make up your own mind about whether quantity or quality is the outstanding characteristic of the world in which you live.” Make sure your planning metrics pay attention to what is important, not just what is quantifiable. Some things just can’t be measured in inches and feet, like staff morale, the impact on human lives and potential, the quality of relationships with collaborators, and the list goes on. 11. Expand thought horizons. “Defy the disciplines. It will be sure to lead across traditional disciplinary lines. To understand that system, you will have to be able to learn from–while not being limited by–economists and chemists and psychologists and theologians.” Strategic planning can be very inward-focused, which isn’t a bad thing. But that can often mean that we are limited by the input of those formally connected to the organization. Like exposing our models to the open air, we should be exposing our planning to those that work across disciplines, across ethnicity, across gender, across age groups, across the close circles we start to move in. This is particularly true of organizations that serve a diversity of people, places, and projects. Include those voices in your planning process, or at the very least, groundtruth your plans with them. 13. Celebrate complexity. This is what allows me to sleep at night. We so want to get the answer right. To have a set course, and stick to it, and have it work out effectively. But we all know that doesn’t happen. “The best laid schemes o’ mice an’ men, gang aft agley” or as Steinbech paraphrased, “The best-laid plans of mice and men, often go awry.” And that’s natural. Perhaps even good. “Let’s face it, the universe is messy. It is nonlinear, turbulent, and chaotic. It is dynamic. It spends time in transient behaviour on its way to somewhere else, not in mathematically neat equillibrium. It self-organizes and evolves. It creates diversity, not uniformity. That’s what makes this world interesting, that’s what makes it beautiful, and that’s what makes it work.” The same is true of the universe that is our organizations. The less we fight it, the more we learn to adapt, the stronger, more creative, more resilient our organizations will be. 14. Hold fast to the goal of goodness. I might amend this one a little from Donella’s original list, not because I don’t respect and appreciate, and agree with, where she’s coming from but because it reminds me of the words of another wise sage of the modern age. Parker Palmer, Founder and Senior Partner of the Centre for Courage & Renewal, talks about the tragic gap, by which he means “the distance between what is and what we know to be possible; the tension between the reality of the moment and the possibility that something better might emerge.” So I agree with Donella, that we must hold fast to the goal of goodness. She rightly argues that “The public discourse is full of cynicism. Public leaders are visibly, unrepentantly, amoral or immoral and are not held to account. Idealism is ridiculed. Statements of moral belief are suspect. Don’t weigh the bad news more heavily than the good. And keep standards absolute.” I work in the world of social change which is by and large about goodness, a better world, more creative solutions to intractable problems. One of the big challenges for the organizations that I work with is using the planning process to hold fast to goodness while sitting in the tragic gap. Squarely in it. So that our plans are aspirational but realistic and truly serve to help us strive for what’s possible to meet the world’s need.